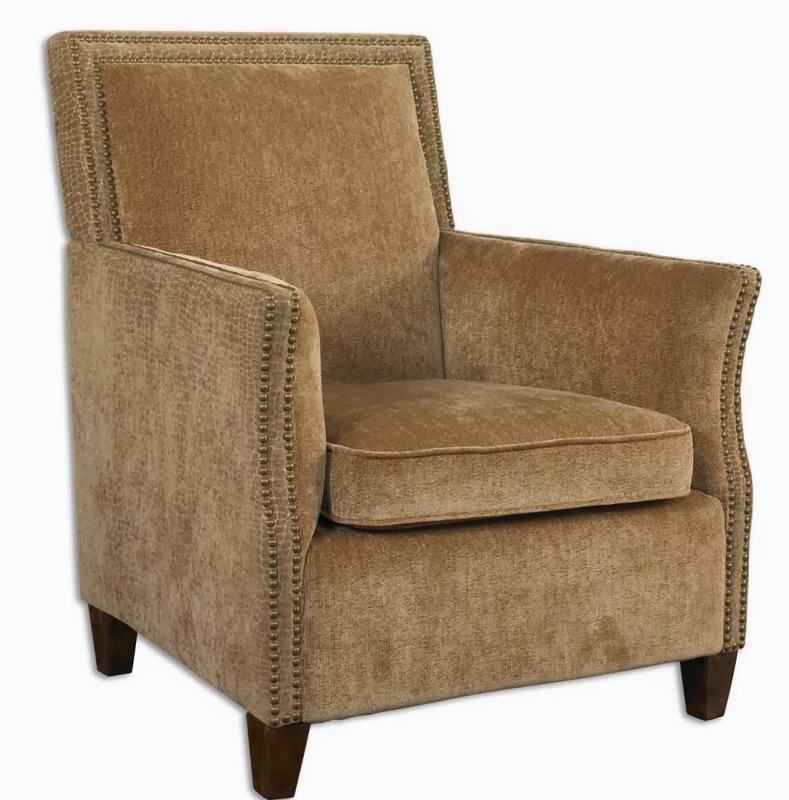 A luxurious padded armchair with neutral colored upholstery, clean boxy shape and decorative nail head embellishments, is a fabulous accent piece for any space. The neutral toned upholstery and classic shape will blend with almost any decor and the decorative nail heads add a lux touch. The chair on the right features a classic boxy lines, neutral beige upholstery and nail head accents. It is sold by a leading retailer for $969. 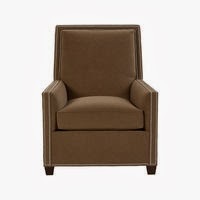 The striking armchair on the left also features beige upholstery, a classic boxy shape and nail head accents. It is sold by Cheap-Chic Decor for only $697. It is not necessary to spend a lot to get the look you want. All it takes is careful shopping to get the look you want for less money. For more great looks for less visit www.cheapchicdecor.com.